Maldives National Defence Force (MNDF) has advised to refrain from conducting dives without proper training. MNDF revealed during the past four years, 25 diving incidents were reported from fishery related vessels. 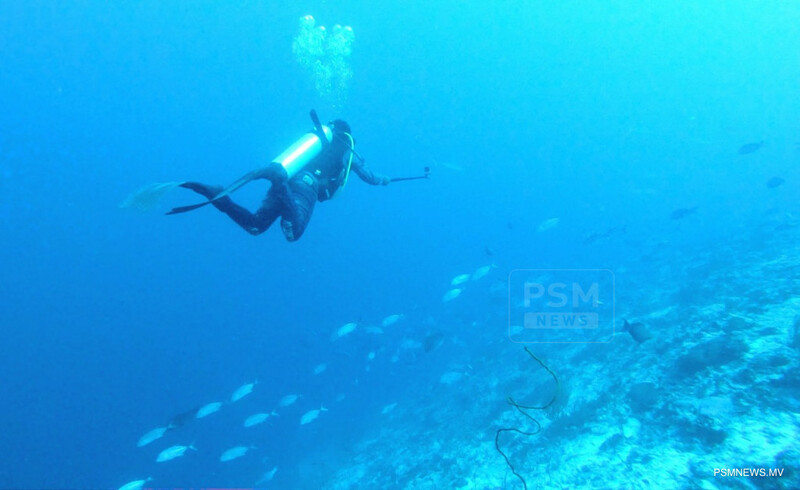 Speaking on a programme aired on PSM News, Principle Director of Coastguard Lieutenant Colonel Mohamed Saleem said 25 cases were reported which took place while diving during fish catching process. In this regard, Lieutenant Colonel Mohamed Saleem revealed while 6 cases were reported last year, so far this year 3 deaths have been caused by sea incidents. Noting Maldives is one of the safest destinations for recreational diving, Saleem said unfavourable incidents are caused due to lack of proper trainings or not taking safety precautions. A maximum of 30 metres is allocated as the safest mark for recreational dives.